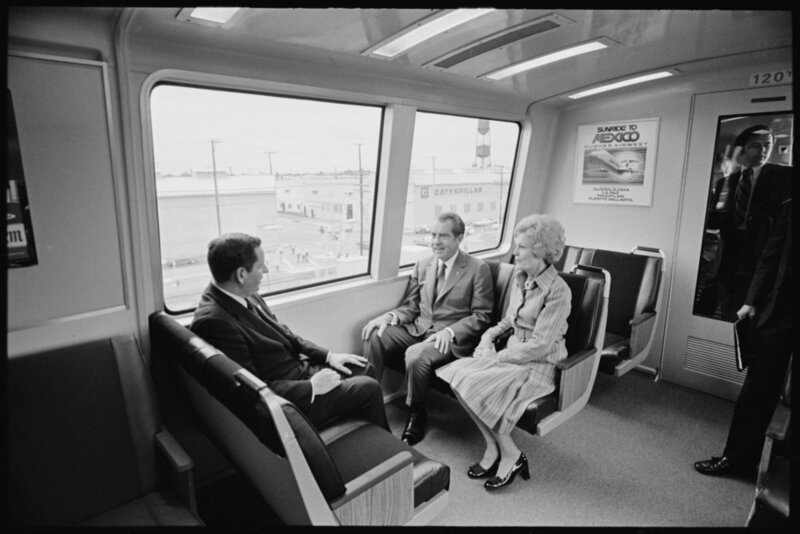 On September 27, 1972, only a few days after the Bay Area Rapid Transit (BART) system officially opened, President Nixon visited the Bay Area to marvel at the future of transportation. 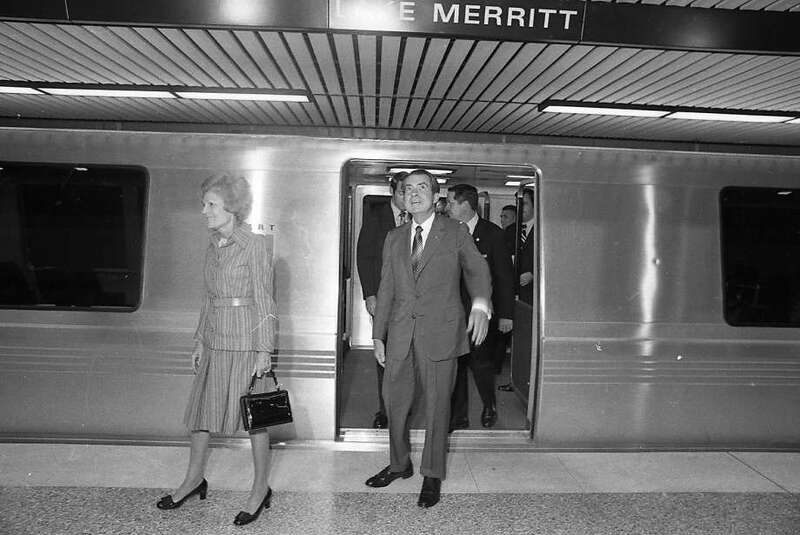 As icing on the cake, President Nixon also arrived with a $38.1 million gift in the form of a Federal capital grant from the Urban Mass Transportation Administration to help complete the remaining miles of the BART system. He released a statement congratulating the parties involved in the unprecedented project, commending the cooperation of municipalities and counties for “setting an example for the Nation.” Indeed, the United States was experiencing a second subway boom, the first being fulfilled at the turn of the century, and the second in the 1970s as regional planners sought to alleviate the strains of debilitating congestion. 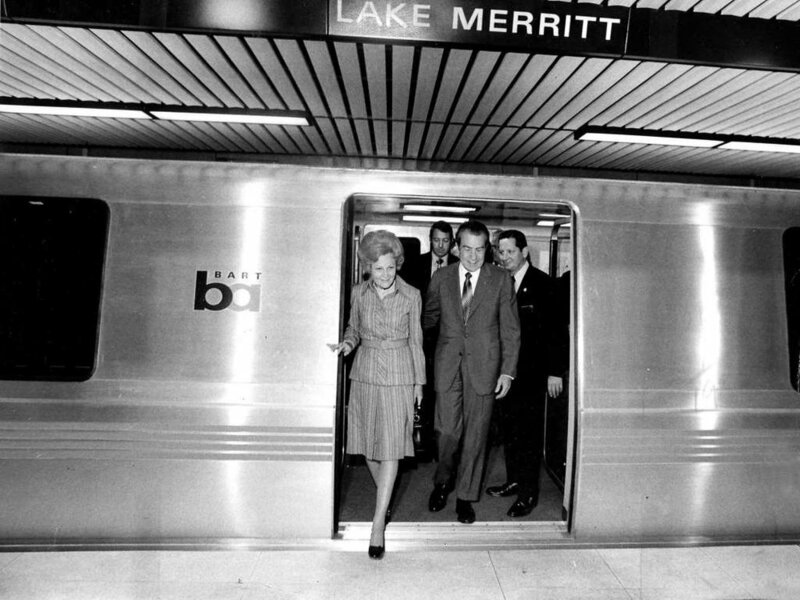 BART was the first of its kind, connecting several counties and municipalities via a system of connected light-rail and subway networks. Washington D.C. was not far behind with its Metro rail project. 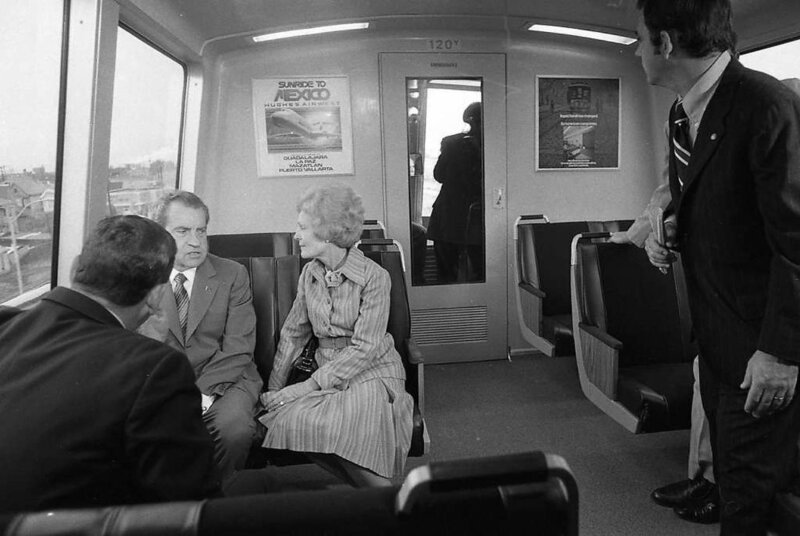 President Nixon’s visit to the Bay Area exemplified his support and vision for the modernization of American’s public transportation system. In his first year as President, Nixon delivered a special message to Congress outlining his administration’s intent to treat public transportation as a chief domestic priority. He proposed to provide $10 billion out of the general fund over a 12-year period to help in developing and improving public transportation in local communities. 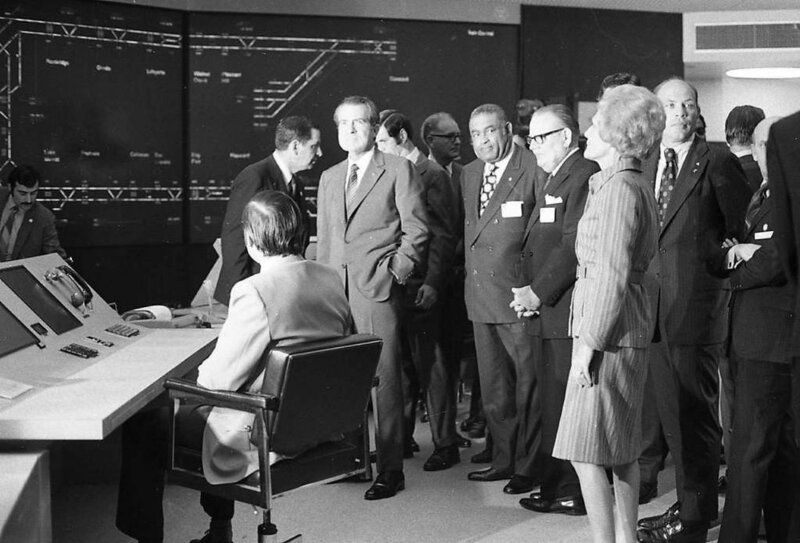 On October 15, 1970, President Nixon’s proposals came to fruition with the signing of the Urban Mass Transportation Assistance Act of 1970, which authorized an additional $12 billion of funding for urban transit projects across the country. 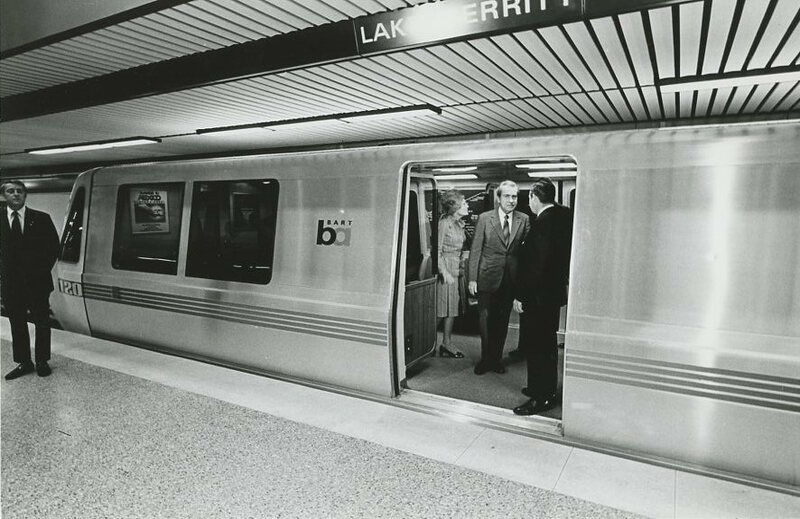 When President Nixon visited San Leandro station and boarded a brand new BART train, a milestone had been met. For the first time, Federal funding for urban mass transit has surpassed spending on urban highways, demonstrating the Nation’s shifting transportation priorities.